Get multiples of this size bag for production work, or as a replacement or addition to your other sizes. Useful for schools and groups and garage builders who require multiple bags so that more than one project can be made during the same gluing session. To be used with the breather netting and pump you already have. 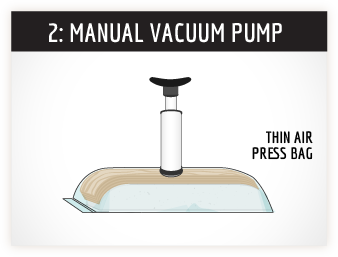 Insert your glued veneers (and mold) into the heavy-duty vinyl vacuum bag, position the breather netting under the valve, seal the bag, connect the manual pump and in less than a minute, extract the air out. Watch as it generates enough pressure to press 7-layers of maple into a 3-dimensionally shaped skateboard. Note: this size bag only accommodates our pre-shaped veneer sets, it is not recommended for any of our uncut veneer sheets. 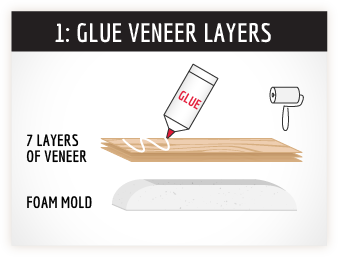 Before you glue up your veneers, a dry run is highly recommended! Tips are included on the maintenance sheet included with the kit. Keep your TAP bag working efficiently by keeping the sealing tape clean, replacing the paper strip back after each use. If you suspect leaks in the vinyl, inspect it regularly (see video) and use clear packing tape to stop up any possible leaks. Ensure your valve has not lifted away from its base, and that the top cap is free of any sawdust, foam bits or glue. Handle and store your TAP bag so that nothing sharp can puncture it. Q: Is this reusable, and for how many times? A: The kits are designed to be used many many times. With a little care and maintenance, the TAP Kits will last for years. Q: Will the glue stick to the bag? A: PVA glue and epoxy will not stick to the bag. Any dried glue can be loosened with fingers and either shaken or blown out with a shop vac. Q: How many boards can I press at once? A: One board at a time. You are limited by how fast your glue dries. Once you start spreading water-based glue on the veneer sheets, you have about 7 minutes to get them pressed before the glue dries. Dry glue will not bond together. Q: If the TAP Bag gets a hole in it, can I fix it? A: Clear 2” packing tape seals up any suspected punctures. Use a length of the butyl tape to fix any side seam gaps or splits. Q: Do the valves leak? A: While many people assume air is leaking back through the valve, they are made of cast rubber and almost never leak. The most common problem with slow leakage is the open-end seal tape. If the seal is not properly closed up (check both sides) you will lose vacuum. If the top cap of the valve is not compromised with dust and debris, the valve will not leak. Q: Do you refund my veneer if I screw up the pressing? Q; What’s a “Dry Run” and why should I do that? 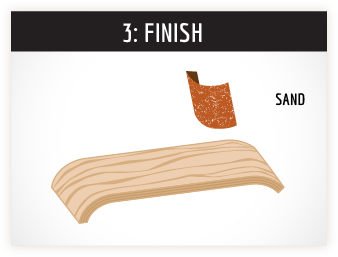 A: It means to press your project in the TAP bag, without putting any glue on the veneer sheets. Stack the dry sheets of veneer over the mold, seal them into the press with the breather netting in place, and pump the air out. Check for 10 minutes to make sure the TAP bag is not leaking. This will help you become familiar with the process before you commit glue to your veneer sheets.